When it comes to completing a research paper, it's obvious to find many students have no clue how to handle it. Although you need a professional's assistance to proceed properly, you will still manage to do a satisfactory job keeping following steps in mind. The first basic step is to identify a right topic. This can become quite confusing if you don't already have some interest in covering a particular topic. Still, a good idea is to think hard and then get in touch with your professor to help them select the best topic for your research paper. Once you know the topic, you need to find a research question. The quality and scope of your research question is going to determine how easy or difficult it becomes to write a research paper. If your research question is not clear or broad enough, you will have a hard time collecting appropriate data. Once you have identified the best research question, the next step is to conduct thorough research. The time it takes to figure the best resources for research will depend heavily on the clarity of your research question. Just be prepared to do real research. After completing your research, you need to choose a side and make an argument. This is usually not as simple as you might think. Make sure you take your time, check your research question and the data you have collected through your research. 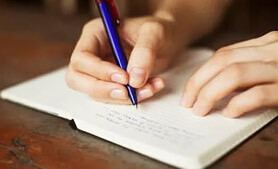 Once everything prepared, you should get started with the real writing. Make sure you maintain a fluency in your writing and always follow a particular style guide. At the time of writing, make sure you use the right way to cite references. Under no circumstances should you be using someone else's work or thoughts as your own. Avoid plagiarism at all cost.